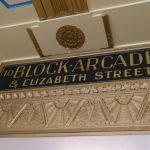 Arcade lovers in Melbourne head straight for those majestic 19th century beauties, the Royal and Block Arcades, but Block Court is like a cheeky little sister, sitting right by the Block Arcade and probably missed by many, who may even contest that it is barely an arcade at all. 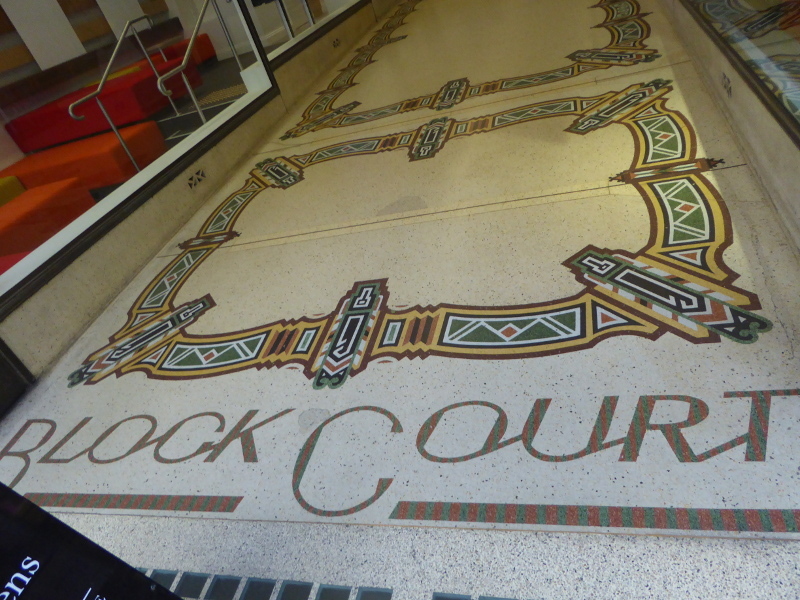 The thing is Block Court was created in 1930 out of an existing Victorian building, and it is claimed to be Melbourne’s first art deco interior. 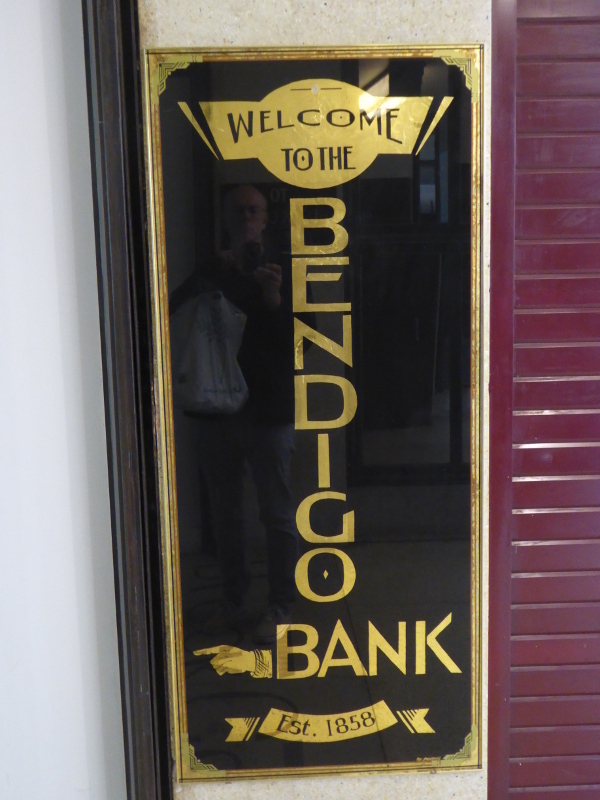 You see, the Bendigo Bank has a branch right slap bang in the middle of Block Court, so once you go through the sliding doors from the arcade entrance, there you are inside a bank branch, even though the ceiling decoration and the tiled floor are just a continuation of the arcade from the street side. Through to the other side of the bank is a dog leg turn towards the lane that leads to Block Arcade, and that’s it. 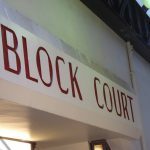 That is Block Court. 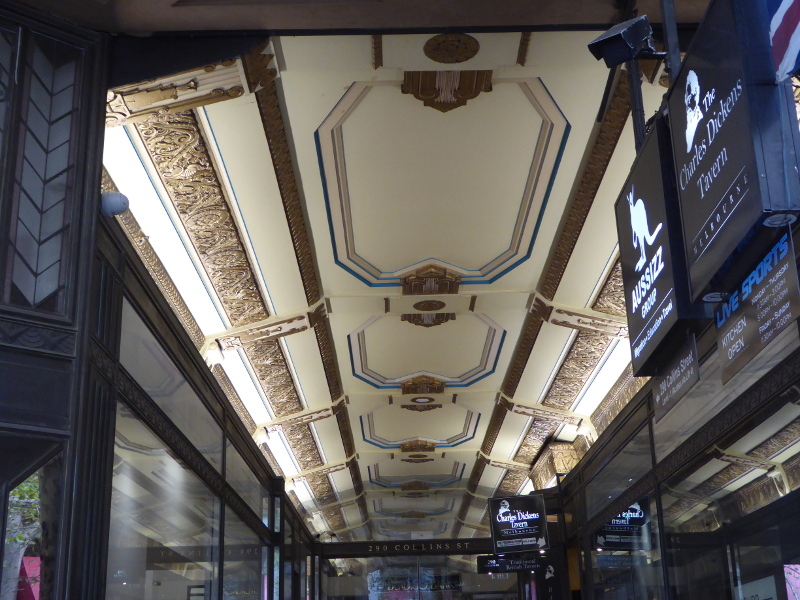 A couple of big retail outlets have stores in the arcade, though they actually front onto Collins Street these days. I wonder if there were once more smaller shops inside this arcade? If my searches on Trove are accurate, there used to be lots of small business in Block Court, so I wonder how long that Bendigo Bank branch has been in place? 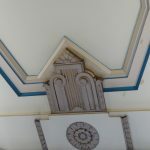 Surely not since 1858, which you might think from looking at the ornate Bank logo on the wall by one entrance to Block Court. We know that can’t be the start date for the bank branch since the whole building was the home of the Athenaeum Club until 1930. There is also the entrance to the Charles Dickens Tavern, which looks pretty vintage itself, though it too is probably a modern addition. 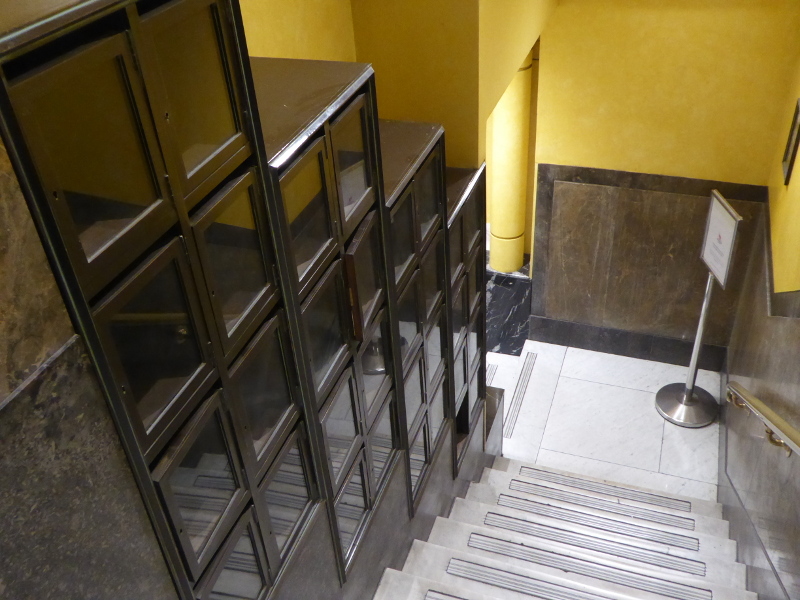 And there is the staircase and lift up to higher floors in this building – I didn’t poke my nose around too much, but I rather liked the old letter boxes lining the stairs as you turn up from the ground floor. But this is no longer an arcade with lots of quirky little shops. There is that Bendigo Bank branch and then you’re through to the back of my favourite Block Arcade shop, the Dr Seuss book and art shop, so you are faced with photos of The Cat in the Hat and The Grinch, and then the path turns sharp right to hit the lane leading to Block Arcade itself. The Charles Dickens Tavern seems to serve coffee under the watchful eye of Dr Seuss characters (but they don’t use one of the local coffee roasters I’m fond of, so I gave this a miss). 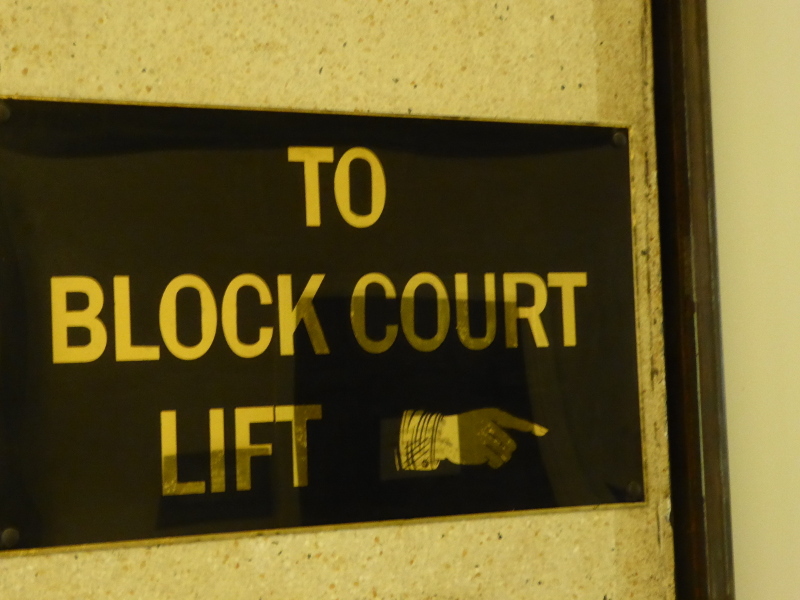 So Block Court is more an arcade where you come to admire the internal décor. 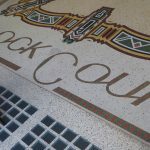 The floor tiles are beautiful, the lettering with Block Court’s name stylish and colourful, the engraved copper-coloured coving with some interesting designs I couldn’t quite make out, and then a hint of a Yorkshire rose back above the main entrance to the arcade in Collins Street. There may be no quirky shops in Block Court, but you can’t get much quirkier than having a High Street bank branch in the middle of an arcade, and the bank has got into the vintage spirit by placing some old documents in the display windows of the branch. 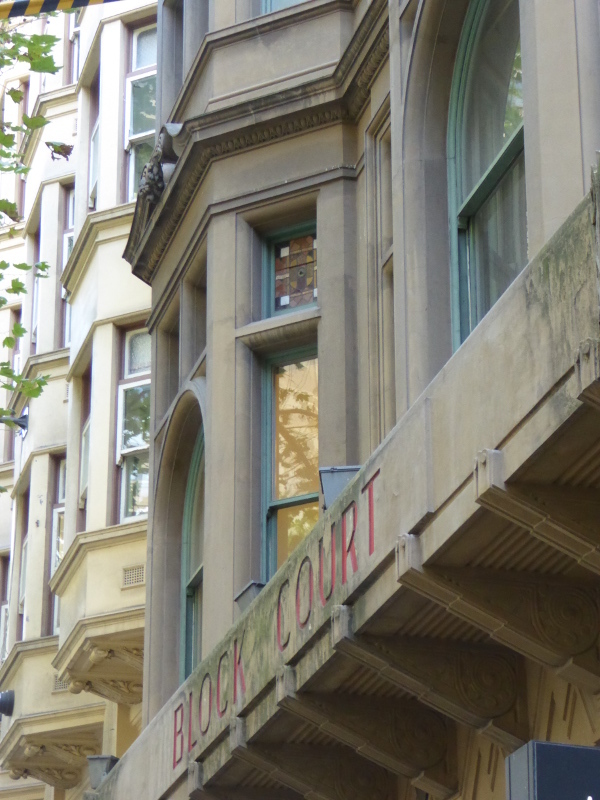 Access from Collins Street or via the laneway that leads off Block Arcade. 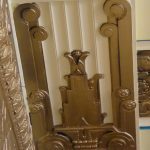 You can walk through the Bendigo Bank branch, and they seem pretty used to admirers taking photos of their rather stunning interior. No toilets in this arcade. 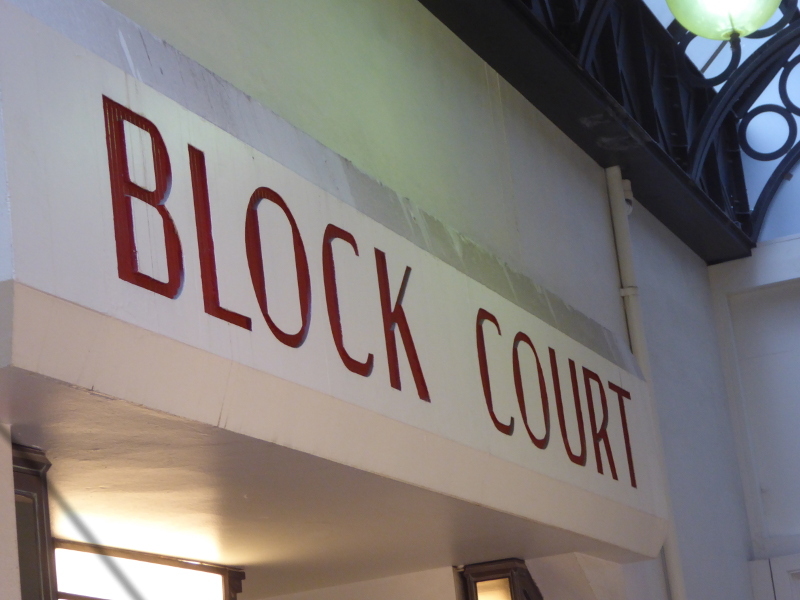 Block Court is a little different from other arcades in Melbourne in that it was created in an already existing building from the later 19th century. 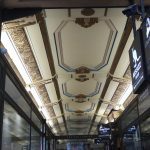 This building in Collins Street was home to the Athenaeum Club, but in 1930 underwent a massive overhaul to carve out the Block Court arcade and create this walk-through shopping area under the existing storeys of the five or six floor building. 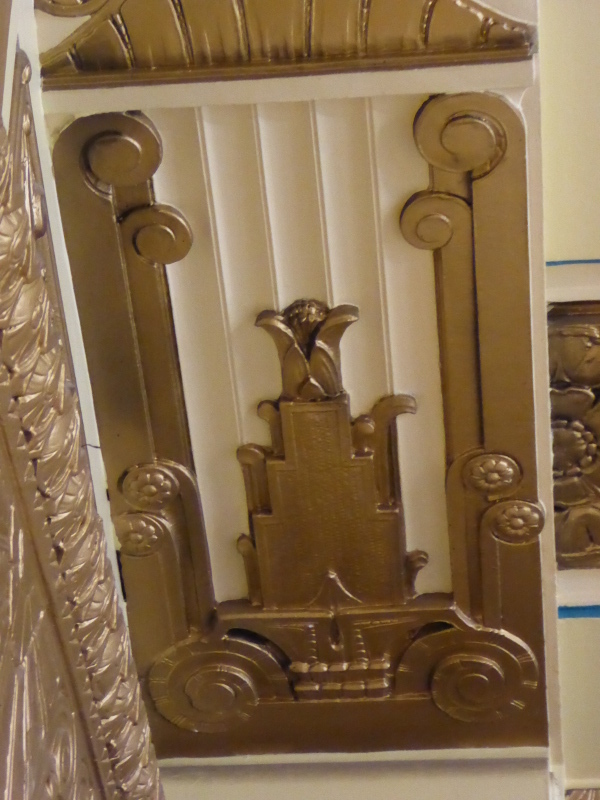 Press articles when the renovation was underway in early 1930 claimed the scheme embodied ‘the latest ideas from America and the Continent!’. It was also planned for nine shops, far more than there are today in Block Court. 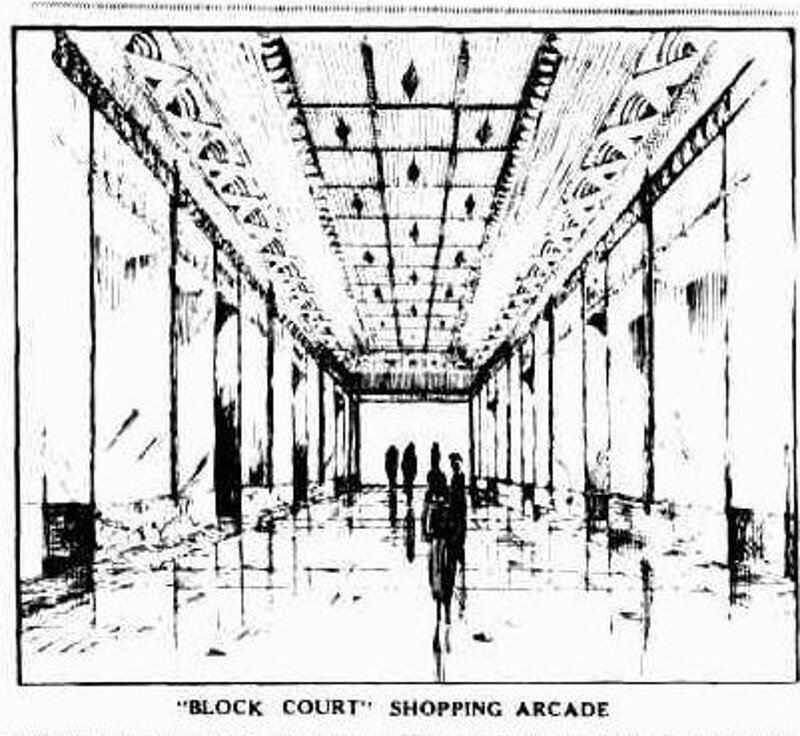 It’s hard to visualise how the Block Court arcade looked when it first opened in 1930. The various press clippings I found on Trove’s website mention a good range of shops having their home in Block Court, from ‘The Tender Joint’ butchers, through various ladies’ clothes boutiques to several coffee shops and tea rooms (or did the latter actually sit in the lane way that joins back to Block Arcade?). And some must, I guess, have been upstairs, though surely not the butcher’s (somehow going upstairs for your meat sounds extremely unlikely…). And I loved the story from 1940, just a few weeks after the Dutch had surrendered to the Nazi invasion in May, and Queen Wilhelmina had fled to London to start her radio broadcasts against the new regime there. The Dutch community in Australia wanted to continue the long-held tradition of marking the Queen’s Birthday in August, so ‘Netherlanders in Victoria’ were all invited to Ye Olde Dutch Café in Block Court to demonstrate loyalty to Queen Wilhelmina. 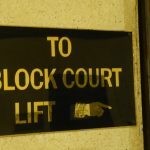 Must have been an emotional day in the Block Court. 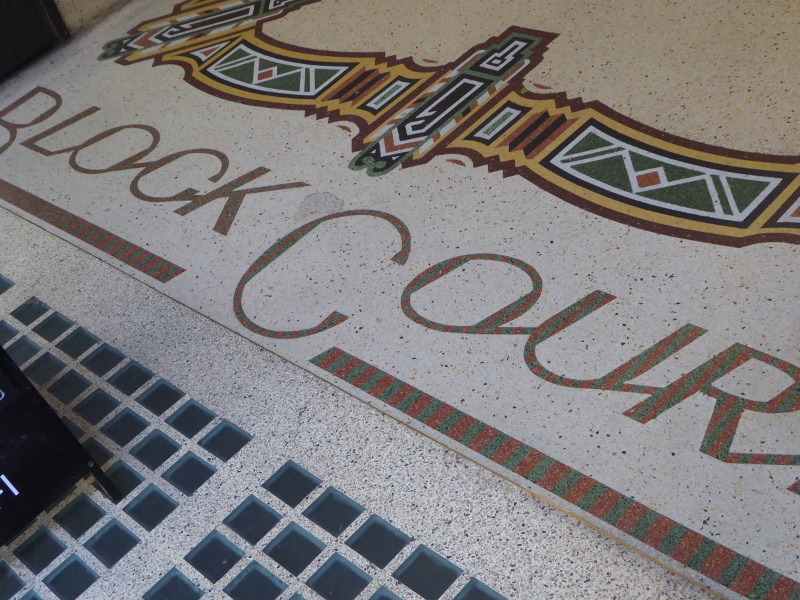 Block Court arcade had not been open long when disaster hit one of its tenants. William ‘Harry’ Zacher owned a women’s hair salon in Block Court, but was an amateur pilot in his spare time – this was in 1935, when flying was a relatively new thing, and accidents did happen. Poor Mr Zacher’s Moth collided in mid air over Essendon Fields with another light aircraft. The other pilot miraculously survived unscathed, but not Mr Zacher. 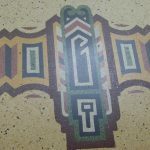 In its early days, in the 1930s, Block Court was clearly frequented by a certain class of Melbourne society: the South Melbourne Younger Set, the Ladies Benevolent Society, plus arty types who exhibited in cafés there, along with the Society of Australian Authors. I liked the 1954 story of an early example of self-publishing. ‘Budding author’ Bob Crawford had written a book but had no takers for getting it into print, so he printed it out himself and began displaying it – at one page a day – in a disused showcase in Block Court. Was this by any chance the same Bob ‘King’ Crawford who subsequently (1972-1987) became Melbourne’s Superintendent of the Arts? 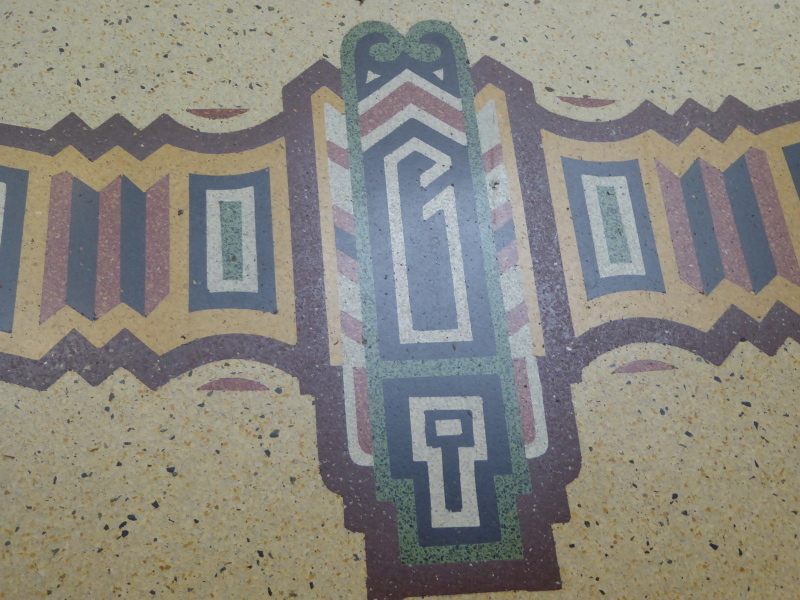 This Melbourne Heritage Action group list Block Court Arcade as one their favourite art deco interiors, and claim it was Melbourne’s first. 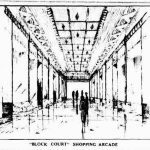 The Victorian Heritage website has the National Trust’s entry for Block Court Arcade. The Melbourne Pen Depot was a 1960 tenant of Block Court. 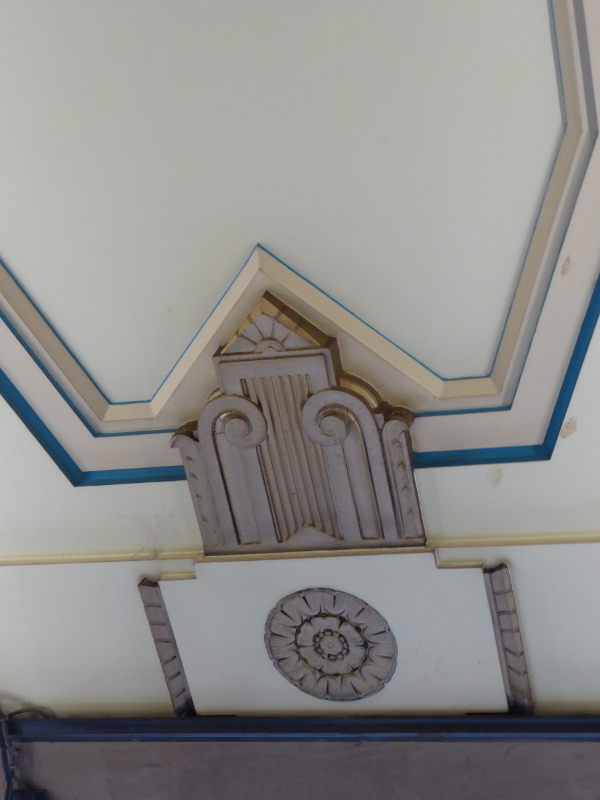 The Building Designers Association of Victoria gave the architects who restored Block Court Arcade in 2017 an award for their work, but the link I found won’t work for me at the moment. 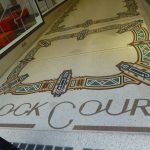 What are your stories and memories of Block Court Arcade? 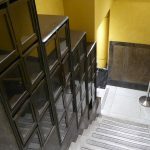 Are you a regular at the bank branch in the arcade or do you go through Block Court to get to Block Arcade? Was there a shop you used to love which is no longer there? 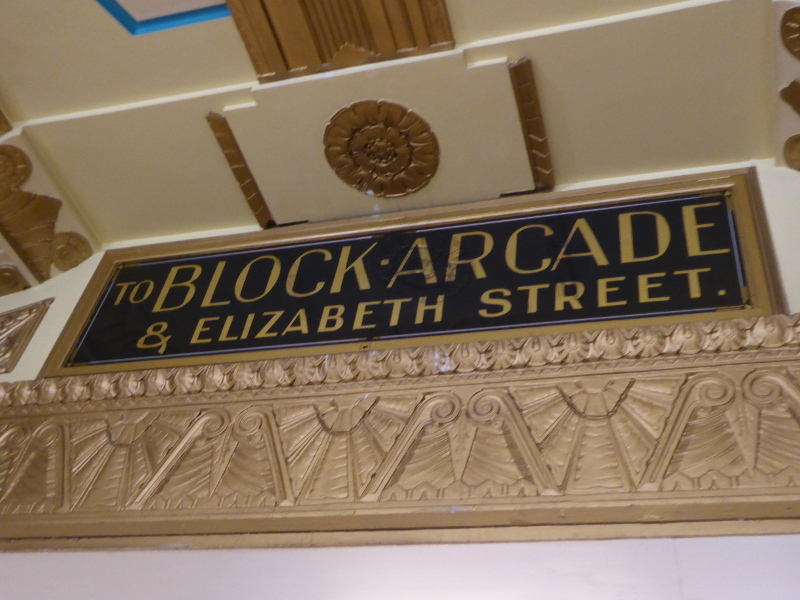 And does anybody have their own memories of Block Court Arcade or want to share a recent experience in the arcade? 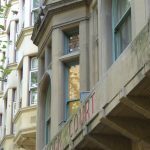 Can anybody help with answers to my queries about Ye Old Dutch Cafe in Block Court? Or confirm whether budding author Bob Crawford in the 1950s was the same guy as Bob ‘King’ Crawford in the 1970s-80s?